Product prices and availability are accurate as of 2019-04-21 21:57:56 UTC and are subject to change. Any price and availability information displayed on http://www.amazon.com/ at the time of purchase will apply to the purchase of this product. 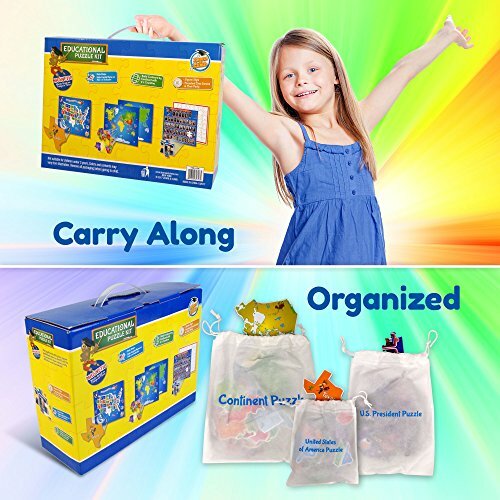 Do you want to make your child's play time fun and educational? The early learning puzzles for kids has been designed to help children learn while they are having fun! 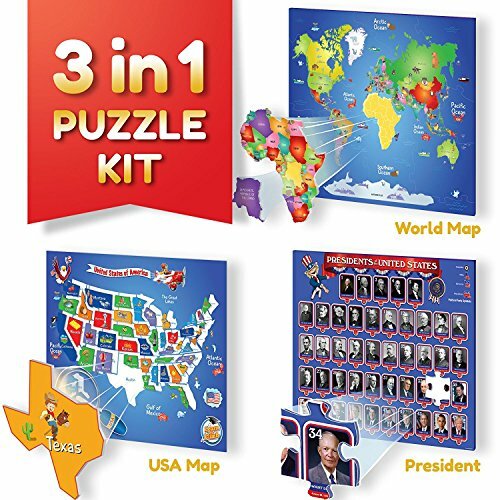 3 fun, informative, beautifully illustrated magnetic jigsaw puzzles complete with cloth backing with the puzzle outline to make them easier to complete. 2 great maps, one map of the USA with each piece representing a US State, including the State Capitals and each puzzle piece is the same shape as the state.Size, 16" x 13.5"
The Map of the World highlights the continents and countries of the World. Each continent is represented with the pieces cut to show the relative countries borders, size, 23" x 19". The set is complete with a historical magnetic puzzle featuring all 45 Presidents of the USA with a clear picture of each President, their names, period of presidency and their party. Size, 16" x 13". Unique Learning Toys That are Fun! Our developmental toys are designed to improve childrens learning while they are having fun because when kids are playing, they're increasing their learning, hand-eye coordination and problem-solving skills..
Not completely satisfied? We'll make it right, no questions asked. All of our products have our 30-day return policy which means you can experience their new kids puzzle educational toys risk-free. 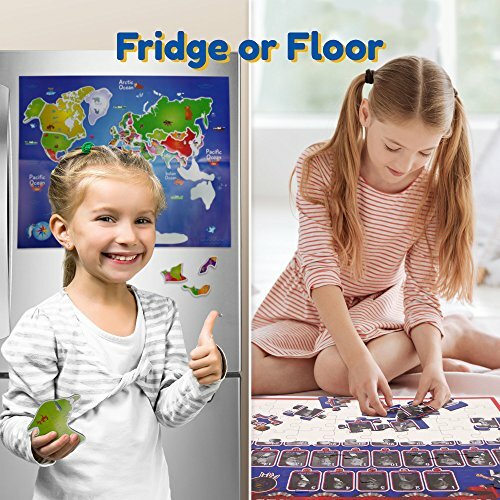 Click the, Add to Cart, button now and see how much your children learn while playing with this deluxe kids set of 3, unique and colorful magnetic puzzles, with our current promotion.